Remix OS for PC from Jide in an official partnership with Android-x86 Open Source Project provides the ability to run Android on a desktop computer in a really efficient and seamless way. Remix OS offers a complete Android experience in a Windows like environment on a PC, thereby turning the dream to run Android on desktop into a reality. 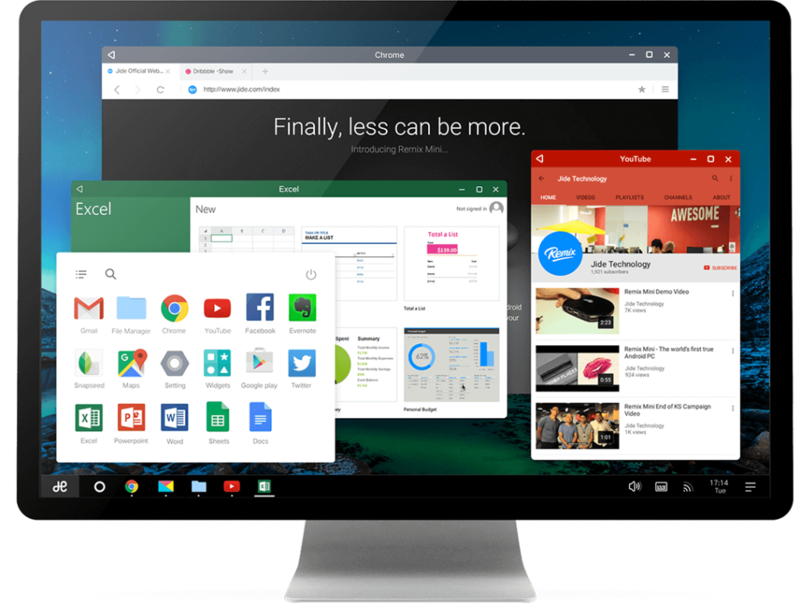 Built on the Android-x86 project, Remix OS for PC introduces a whole new range of versatility and supports an array of existing Intel-based PCs. By installing Remix OS, one can breathe a new life into there old PC with Android’s rich app ecosystem powered by over 1.6 million apps. What’s interesting is that Remix OS can be simply installed alongside with your native Windows OS in a dual-boot mode. Moreover, it is completely free to download and use plus timely updates are offered. 1. 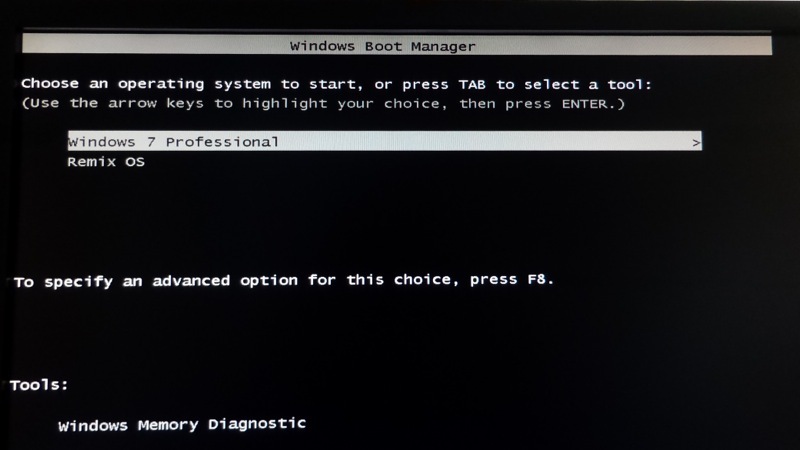 As we’re Dual-booting, we consider that Windows OS is already installed on your computer. 3. Extract the .zip file package to a folder on your desktop. 4. 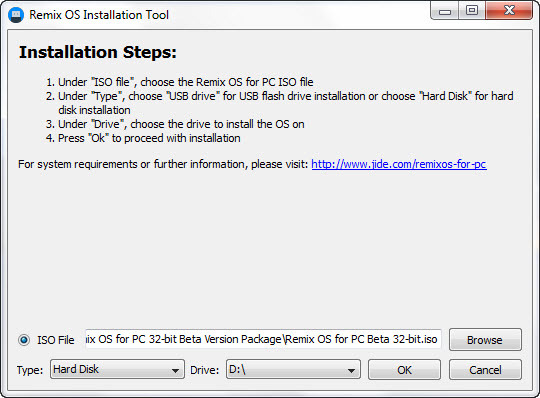 Open the ‘Remix OS Installation Tool‘, browser and select the ROM .iso file. In Type choose ‘Hard Disk’ and in Drive choose system partition (generally ‘C’ drive) where your current Windows is installed. In our case, we installed it on a secondary formatted partition ‘D’ in dual-boot mode with Windows 7. 5. Click Ok and wait for the installation. Once done, select ‘Reboot Now’. 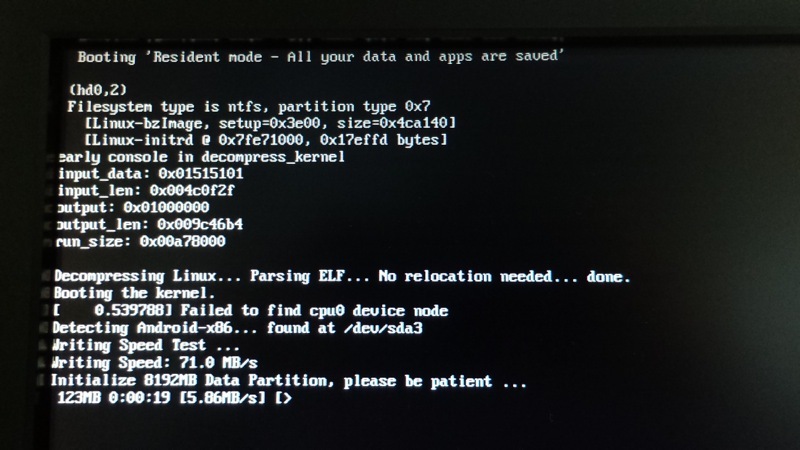 Now you will see Remix OS option in Windows Boot menu, select it and hit enter. Don’t get too excited yet! 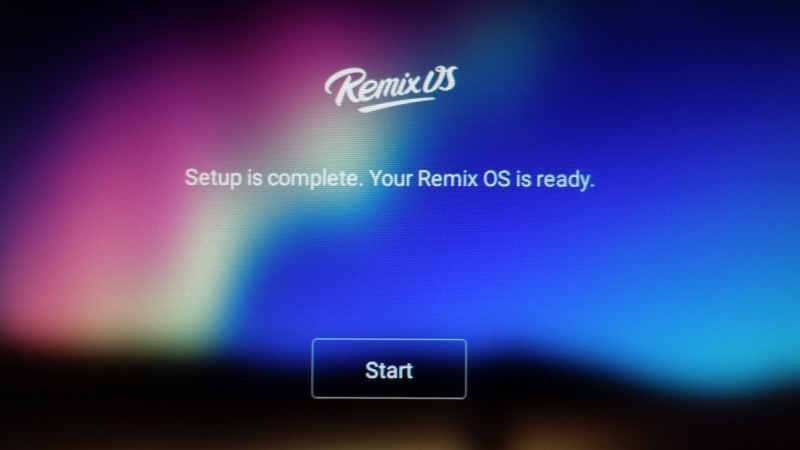 The main process will now start as Remix OS creates a new 8GB partition on your hard drive to install the Android OS. This can take around 20-25 minutes, you can check the ETA shown on the screen. After booting, you’ll be presented with an all new and refreshing Android to experience on your desktop. Do try out Remix OS on your PC. It’s really awesome! The post How to Dual Boot Remix OS for PC with Windows – Experience Android on Desktop appeared first on WebTrickz.